We’d love your help. 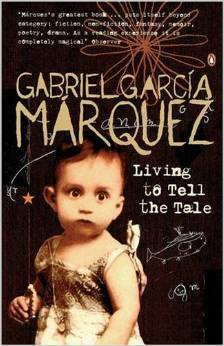 Let us know what’s wrong with this preview of Living to Tell the Tale by Gabriel García Márquez. To ask other readers questions about Living to Tell the Tale, please sign up. Going to read this book..how is it ? إدمان للقراءة والتدخين, وسهر في المقاهي التي كانت تُعتبر مراكز ثقافية وسياسية, وإفلاس دائم إلى أن انتظم في العمل الصحفي وكتابة المقالات. 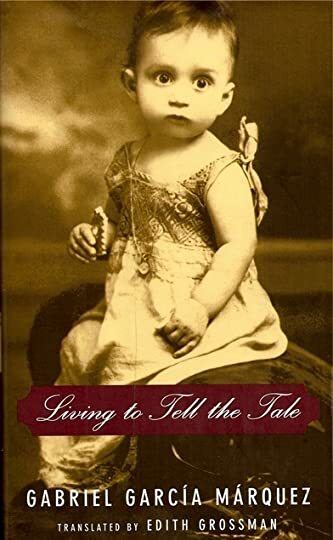 Living to Tell the Tale (original Spanish-language title: Vivir para contarla) is the first volume of the autobiography of Gabriel García Márquez. The book was originally published in Spanish in 2002, with an English translation by Edith Grossman published in 2003. Living to Tell the Tale tells the story of García Márquez' life from 1927 through 1950, ending with his proposal to his wife. It focuses heavily on García Márquez' family, schooling, and early career as a journalist and short story writer, and includes references to numerous real-life events that ended up in his novels in one form or another, including the Banana massacre that appears prominently in One Hundred Years of Solitude and the friend of his whose life and death were the model for Chronicle of a Death Foretold. هى السيرة الذاتية كما يجب ان تروى ..
لكن هى السيرة الذاتية كما يجب ان تروى ..
بوحٌ على بوح.. هي سيرة ماركيز الذاتية. ماركيز المفتون بسحر الحكاية، يقرر أخيراً أن يخلع عنه معطف الروائي ويحكي لنا عن ماركيز الإنسان، في مضمومة قوية من براعة الحكي -ما لم يقدر على الخلاص منه أبداً- ممزوجة بفن الاستقطاب، انفلتت في تداعيها الحر مدفوعة بصراحة وصدق صادمين، ولغة أدبية اعترافية النزعة. حقيقةً ما زلت لا أصدق كيف تقدر شخصية عامة وذات ثقل -أياً كانت- على كتابة سيرة ذاتية كاشفة وربما فاضحة أيضاً كهذه.. لا يعمدون فيها للترشيح، ولا لمقص رقابة على عالمهم السفلي. قرأت من قبل "ماذا علمتني الحياة" بوحٌ على بوح.. هي سيرة ماركيز الذاتية. في كل مرة أخوض نفس التجربة: الذهول والصدمة.. ثم الافتتنان. قرب انتهائي من الكتاب، وقعت تحت يدي مصادفةً مقالة في عدد قديم من مجلة "وجهات نظر"، كتبها الروائي خيري شلبي، ويحكي فيها عن ارتباطه الشديد بماركيز، والأثر الذي تركته أعماله في عالم خيري شلبي الأديب، واكتملت الصورة بما رآه في سيرة ماركيز من تشابه يقترب من حد التطابق بعالم خيري شلبي الإنسان.
" لقد مرت بي لحظات، وأنا مستغرق في قراءة السيرة الذاتية لماركيز، شعرت خلالها بأنني عثرت علي توأم لي علي شاطئ الكاريبي، بل شعرت بأنه أقرب لي من يوسف إدريس ومن كثيرين لا يربطني بهم سوي مجموعة من فرضيات اجتماعية ثقافية تاريخية عقائدية عرقية، مهما توثقت نظرياً لا تمنع قيام العدوان بينهم لأتفه الأسباب. إن إدماننا لبس الأقنعة، قد أكسب الأقنعة سماكة ومتانة، وخرَّب دواخلنا تخريبًا مروعًا. ولأننا قد أصبحنا ممنوعين من مواجهة النفس ،وتعريضها للهواء النقي وللشمس، فإن دواخلنا ستظل ركامًا من العدوان لا يصيب أحدًا سوانا. " 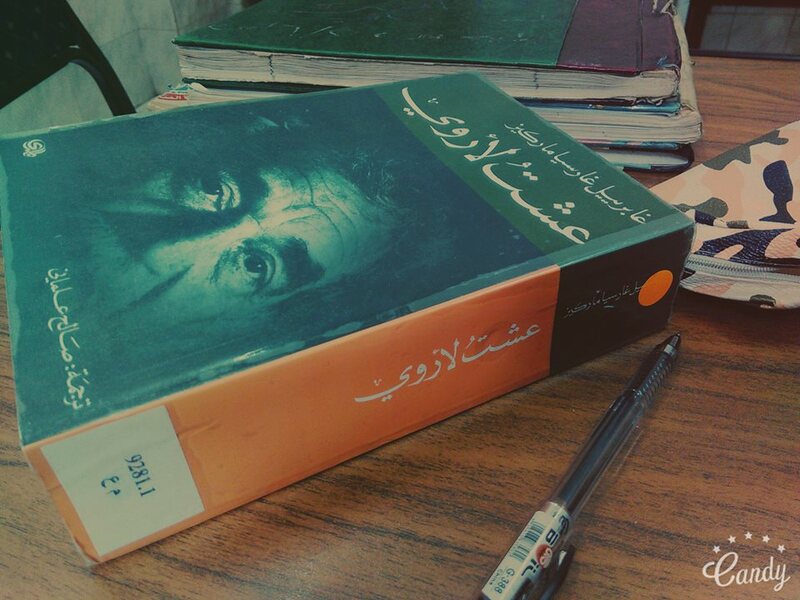 The 6th book by Gabriel Garcia Marquez (1927-2014) that I've read. This is supposedly the first volume of this 3-part autobiography. I chose this over his other novels or novella in my to-be-read folder because he just recently died and so I thought I would like to know more about him by reading his autobiography. I am not sure if there is still the second or the third part of this autobiography. This book, published in 2002, was the last published non-fiction of him. For fiction, it was the nov The 6th book by Gabriel Garcia Marquez (1927-2014) that I've read. This is supposedly the first volume of this 3-part autobiography. I chose this over his other novels or novella in my to-be-read folder because he just recently died and so I thought I would like to know more about him by reading his autobiography. I am not sure if there is still the second or the third part of this autobiography. This book, published in 2002, was the last published non-fiction of him. For fiction, it was the novella Memories of My Melancholy Whores (3 stars) which was published in 2004. Now that G. G. Marquez is dead, I have a feeling that his estate will published his works and there could be some manuscripts for the parts 2 and 3 of this autobiography especially because he contacted dementia only in 2012, ten years after the publication of this book. I am not really bewildered by this book. Reading this is nice if you've read some of his books particularly One Hundred Years of Solitude (5 stars) because it would make you understand some of the actual events mentioned in the book like the Banana Massacre (Columbia, 1928) that caused the death of many banana plantation workers. You would also have a feeling that some of the characters in One Hundred are based on G. G. Marquez's family particularly his mother and her parents (G. G. Marquez's grandparents). That maternal side of his are really fascinating and the superstitions beliefs during that time are similar to the magical realism that seems to be the legacy-contribution of G. G. Marquez in World Literature. My favorite part of this autobiography is the young G. G. Marquez's attitude that he wanted to become a writer more than anything else in this world. 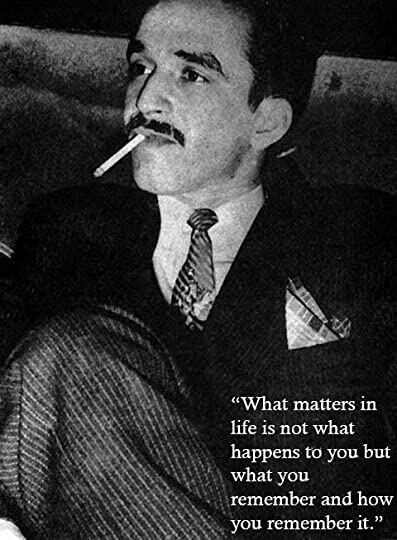 His father wanted him to become a lawyer or a doctor but G. G. Marquez's was steadfast in what he wanted in life and so when he was 25 he boldly declared to everyone that he would become a writer. Similar to the current situation in the Philippines, writing (especially fiction) is not a money-making profession. There are very few exceptions but if you want to get rich, don't take journalism as a college degree unless you want to become a politician someday or you want to die young because the Philippines is one of the countries with high death mortality for journalists. Likewise for creative writing or literature graduates, since most Filipinos do not read books or if they do, they read foreign-authored books, then being a local writer is not a lucrative profession. 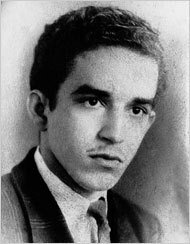 With exactly the same situation in Columbia during the 1940's the young G. G. Marquez went against the wishes of his parents and pursued his ambition of become a writer. Look at what he achieved: he put Latin American in the world's literary map. The world practically wept when he died on April 17, 2014. It was Maundy Thursday when I heard about it and the the gloom of remembering the passion and crucifixion of the Lord Jesus Christ was doubled by the sad news of G. G. Marquez's passing. We will miss you, G. G. Marquez. God speed and say our regards to Jose Saramago! Please continue, if you can, writing novels in heaven. this has been, without a doubt, the best autobiography that i have ever read. not only that it offers you an endless amount of details about Marquez himself and the influences that made him become a writer, it is also a fine analysis of the political and economical situation of the XXth century Columbia. Alternating between these two very interesting topics, Marquez makes the writer feel what he felt and see what he saw when he was younger. his life, like most lives of the biggest writers of our this has been, without a doubt, the best autobiography that i have ever read. not only that it offers you an endless amount of details about Marquez himself and the influences that made him become a writer, it is also a fine analysis of the political and economical situation of the XXth century Columbia. Alternating between these two very interesting topics, Marquez makes the writer feel what he felt and see what he saw when he was younger. his life, like most lives of the biggest writers of our world, has been a roller coaster of emotion, putting him through all sorts of situations and giving him the experience of poverty, pain, loneliness and most importantly for a writer, the experience of vision, of dream. i once saw in an interview that he said : "from the moment i was born, i knew i wanted to be a writer". you can clearly see here how early and abnormally his passion for the written word started and how obsessed he became with the mystery of stories. the autobiography is written in a very objective manner, and there's a very good reason for that. scattered throughout you can find things that different writers or friends of Marquez said to him, about him. in general, these things imply that he is a phenomenal writer, that his future is set to be bright, a prognosis of an influencial literary life and the conclusion that, no matter how tough things might be for him now (in his twenties), his talent can only be explained by a lucky star that nobody can interfere with, all these told to him before he turned 25 years old. no matter how he ended up changing the cultural face of the XXth century, any young man can be easily influenced by these kinds of premature certainties. i'm sure that Marquez himself found solace in those predictions when times were tough, but his constant work and dedication become that much more worthy of praise. years later, when he wrote this biography, he simply had to be objective. anything more than a simple reminder of those lines would have looked too much like infatuation, ruining an otherwise coldly-written tale. i feel so sorry that it stopped when he was barely thirty, and now we'll probably never have the next parts of Marquez's story written by himself. and on top of all that is amazing in this book, there's one more thing that makes this a master's work - it doesn't feel like just a biography. its texture is transcending factual matters and revolves around a world that seems almost as mystical as the one who wrote about it. in that sense, if not in others, this is not just a biography. كلنا نعيش حياتنا بطريقة متشابهة للغاية في بساطتها،ولكن ما يجعلها حياة فريدة هو طريقة سردها وتذكرها،وهنا آمن ماركيز بمقولته بأن الحياة ليست ما نعيشه بل ما نتذكره والطريقة التي نروي بها هذه الذكريات،وعندما نقرأ سيرة كسيرة ماركيز فسنعرف أن أعماله المتميزة كانت نتاج حياة على قدر هذا التميز. سجل ماركيز سيرته تلك وهو في الخامسة والسبعين من عمره ولابد لنا أن نشكر الإله على منحه لماركيز ذاكرة قوية كانت قادرة على تسجيل لحظات تلك الحياة الثرية،حياة رجل آمن بأن الكتابة هي الشئ الوحيد الذي يستحق الحياة لأجله كلنا نعيش حياتنا بطريقة متشابهة للغاية في بساطتها،ولكن ما يجعلها حياة فريدة هو طريقة سردها وتذكرها،وهنا آمن ماركيز بمقولته بأن الحياة ليست ما نعيشه بل ما نتذكره والطريقة التي نروي بها هذه الذكريات،وعندما نقرأ سيرة كسيرة ماركيز فسنعرف أن أعماله المتميزة كانت نتاج حياة على قدر هذا التميز. سجل ماركيز سيرته تلك وهو في الخامسة والسبعين من عمره ولابد لنا أن نشكر الإله على منحه لماركيز ذاكرة قوية كانت قادرة على تسجيل لحظات تلك الحياة الثرية،حياة رجل آمن بأن الكتابة هي الشئ الوحيد الذي يستحق الحياة لأجله فعاش لأجله،ولم يتردد لحظة في ترك دراسة القانون رافضا ضغط أهله واستمر فيما أراد أن يكون هو. مئة عام من العزلة:ذلك العمل الفذ في تاريخ الفنون الإنسانية،لم يكن إلا سرد مميز لمآسي حياتية تعرضت له عائلة ماركيز نفسه،فسجلها للخلود،ولم يكن الكولونيل الذي ينتظر من يكاتبه إلا جده،وقصة الحب الأسطورية في (الحب في زمن الكوليرا)لم تكن إلا قصة حب أبيه وأمه،كل حقائق صبغ ماركيز سحره فكانت واقعيته السحرة. يبدأ ماركيز سيرته ذاكرة الأماكن ويقحم فيها ذكرى الإنسان بسلاسة وكعادته الجميلة يربطنا بكتاباته من أول سطر في الرواية ويصول ويجول في الشخصيات وخاصة أمه:ولا عجب أن لماركيز أم عظيمة كتلك والتي تستحق الخلود الذي خلّده له في أعماله. بدأ السيرة بأمه وأنهاها بحبيبته ورفيقته(ميرثيدس)ومن هنا لا نعجب أن ماركيز يحب رفقة النساء ويفضلها عن أي جلسة أخرى. ماركيز..من عاش الحياة بكل ما يليق بها من صخب وجموح...وحب. من أجمل قراءات هذا العام. Se avete già letto e apprezzato i libri di Márquez, sicuramente amerete anche questa autobiografia. Parla della sua infanzia fino agli anni in cui diventa un giornalista affermato e deve partire per la Svizzera come inviato speciale nel 1950 dopo aver ricevuto delle minacce di morte nel suo paese. Leggendo della sua famiglia numerosa, con alcuni componenti originali, e degli avvenimenti della sua vita, ci si rende conto da dove ha tratto ispirazione per scrivere i suoi romanzi. Anche questa auto Se avete già letto e apprezzato i libri di Márquez, sicuramente amerete anche questa autobiografia. Parla della sua infanzia fino agli anni in cui diventa un giornalista affermato e deve partire per la Svizzera come inviato speciale nel 1950 dopo aver ricevuto delle minacce di morte nel suo paese. Leggendo della sua famiglia numerosa, con alcuni componenti originali, e degli avvenimenti della sua vita, ci si rende conto da dove ha tratto ispirazione per scrivere i suoi romanzi. Anche questa autobiografia si legge quasi come un romanzo ed è molto scorrevole. Ma è anche un libro sulla Colombia perché gli avvenimenti storici e politici s'intrecciano alla vita di Márquez e della sua famiglia. L'unica pecca è che si arriva soltanto fino al 1950 mentre invece mi avrebbe fatto piacere leggere anche degli anni successivi. If you liked Márquez's books, then you have to read also this autobiography. Márquez talks about his childhood and goes till 1950 when he has to leave for Switzerland as a correspondent. He talks about his family, his country, his studies and the historical and political events are intertwined with his and his family's lives. It is a flowing and enthralling read, and it's like reading one of his fictional works. Reading about his large family and some unique relatives, you understand from where he took inspiration to write his works. إنه غابرييل جارسيا ماركيز.. الذي أحمد الله كثيراً أني عشت في الزمن الذي عاش فيه ليروي! يقع الكتاب في حوالي (٧٠٠) صفحة. يُمكن القول أن أول (٣٠٠) صفحة قد تجد فيها فائدة؛ في حين أن الصفحات المتبقية تكاد تكون بلا طائل. في الحقيقة تبدأ مذكرات الكاتب من اللحظة التي زارته أمه قادمة من القرية إلى المدينة حيث يدرس الحقوق وهو في السنة الثانية لتطلب منه مساعدتها في العثور على من يشتري بيتهم القديم. وبأسلوب روائي يبدأ الكاتب في سرد مذكراته من تلك اللحظة ويرجع إلى طفولته ويقص فيها كثيرًا من المواقف ثم يعود إلى نقطة الارتكاز وهي رحلة بيع البيت، وفي الطريق تبدأ حواراته مع أمه التي تجادله في أن يُكمل دراسته للحقوق في حين كان قد عزم على أن يترك دراسته الجامعية ليعمل صحفيا ويتفرغ لحلمه في أن يُصبح كاتبًا. المزعج في هذه المذكرات أن حوالي ٥٠٠ صفحة في القسم الأخير منها لا تتحدث إلا عن مغامراته الصحفية التي كرّسته بوصفه صحفيا لا بوصفه كاتبًا عالٓميا استطاع الحصول على جائزة نوبل؛ الأمر الآخر المزعج أن المذكرات لا تكاد في سردها تتجاوز السنوات الخمس والعشرين الأولى من حياته مما يُبقي حوالي ٥٠ سنةً من عمره مجهولةً!! لكن ذلك يقوّي لديّ قناعة بأنه توفي قبل أن يُتمّ سرد مذكراته كلها. ملاحظة أخرى أن الكاتب سرد لنا وبالتفصيل قصة كتاباته للمقالات الصحفية التي عُنيت بشؤون الكوارث والحروب الأهلية والزلازل ولكنه لم يفعل الشيء ذاته مع رواياته التي حققتْ له شهرته العالٓمية؛ بل إنه لا يكاد يذكر شيئًا عن (مئة عام من العزلة) ولا عن (خريف البطريرك) ولا عن سواهما، مع الاحتراز قليلاً أنه تحدث ولكن بشكل شحيح عن (الحب في زمن الكوليرا). بقي أن أقول: تبقى للكاتب مكانته؛ لكنني لا أنصح بقراءة سيرته الذاتية هذه (عشتُ لأروي) لأن كثيرًا من الوقت المبذول فيها ربما سيذهب بلا جدوى!! A slow memoir that I had been anticipating throughout the year as the finishing touch to my Márquez theme. It covers the early life of a starving, hungry, shy journalist, who slept in a whorehouse to save money, and was composing his first novel at night in the office of his newspaper, chain smoking. Márquez's life was not exactly harder then I realized, but there was more poverty and hunger. One of eleven children, plus some other half siblings through his philandering father, it seems he was the only one formally educated, being sent away to a boarding prep school. He was only accepted into his primary school because of discussion he had with the principal about 1001 Nights at about age 6. Alas, he would go on to fail out of law school because of his obsession with writing. The sleepless nights full of prostitutes, and an incredibly well-educated milieu of colleagues, who he recounts in affectionate detail, make for a fascinating world. Generally well regarded, his was actually very insecure. At one point a friend rummaged through his trash and pulled out discarded stories and published them - these are important pieces in his Collected Stories. But the book ends before we have a real author. Instead it closes on a now professional and interesting columnist with just enough income to get by. لا أستطيع على وجه الدقة تذكر الكُتّاب و الروائيين الذي قرأت لهم طوال السنوات المنصرمة من حياتي القرائية ، أعني أولئك الذين أعاصرهم الآن ، لأنني لم أكترث شخصياً لكونهم موتى في التُراب أم أحياء عليها ، كانت قرائتي لهم تكفي أحياناً لأشعر بهم أحياء في لحظات ، ثم موتى في لحظات أخرى ، - هذه طريقتي للعبث بالحيوات من حولي - على أية حال ، هذا الأمر لا ينطبق على " غابرييل غاريسا ماركيز ، لسبب ما صبحتُ أكترثُ لكوني أعاصره ، كنت أهمس لنفسي قائلة : لكم أنتِ محظوظة يا روح . لقد إستطعتِ على الأقل معاصرة ماركيز لا أستطيع على وجه الدقة تذكر الكُتّاب و الروائيين الذي قرأت لهم طوال السنوات المنصرمة من حياتي القرائية ، أعني أولئك الذين أعاصرهم الآن ، لأنني لم أكترث شخصياً لكونهم موتى في التُراب أم أحياء عليها ، كانت قرائتي لهم تكفي أحياناً لأشعر بهم أحياء في لحظات ، ثم موتى في لحظات أخرى ، - هذه طريقتي للعبث بالحيوات من حولي - على أية حال ، هذا الأمر لا ينطبق على " غابرييل غاريسا ماركيز ، لسبب ما صبحتُ أكترثُ لكوني أعاصره ، كنت أهمس لنفسي قائلة : لكم أنتِ محظوظة يا روح . لقد إستطعتِ على الأقل معاصرة ماركيز - وإن لم تكن معاصرةً تامة - بينما الأجيال القادمة لن تتسنى لهم هذه الفرصة - إنه الشعور ذاته لأننا لم نعاصر دوستويفيسكي - سيتناقلون فقط وجود كاتب كولومبي قد كتب عدة روايات مُذهلة و روى سيرته بشيء من التفصيل و الإسهاب المُذهلين في كتابه : عشت لأروي ، و إنتهت حياته بإعتزال الكتابة بسبب خرفٍ أصابه و أفقده عقله وودع قرائه بـ بتحية وداعية جميلة ! ، رُبما حينها تنقرض كُتبه إلا قليلاً ، و سيتدافع قُراء العالم بحثاً عنها، بينما بحوزتك أنتِ كتاب ثمين له لن ترضي بإعارته أبداً ، و ستحتفظين به في القبو أو في علية المنزل مع بقية الكُتب الورقية النادرة ، وتأذنين في نهاية المطاف أن تورث كتبك لأكثر أحفادك حُباً بالقراءة وولعاً بها ، وتأخذين عهد وفاء منه أن يحفظها بعيداً عن أعين المتطفلين ممن إدعوا أن عصر الورق و الكُتب الورقية قد انقضى إلى غير رجعة بينما هم يتراكضون للحصول عليها لأنها بطبيعة الحال أصبحت مواداً جيدة للمتاحف الأثرية . تجاوزاً للمبالغات أعلاه ، ماركيز مُدهش بمَ يكفي ليجعلني أكتب مراجعتي له و أنا ما زلت أقرأ الكِتاب لرغبتي المُلحة في أن أكتب ما قد لا تتسنى لي كتابته لاحقاً حينما أنتهي ، غابرييل ماركيز الروائي الكولومبي الذي لم أقرأ له أياً من روايته حتى الآن رغم معرفتي المُسبقة بروايته الأكثر تداولاً على مسامعي : مئة عام من العزلة ، سرد في كتابه عشت لأروي حياته الصاخبة و تاريخ أجداده و والديه ببراءة طفل في قرية آراكاتاكا في كنف جديّه و إنتقاله إلى منزل والديه مُجدداً بعد أن وارى جسد جده التُراب ثم بروح شاب جامح مدمن للسيجار و الكتب في آن واحد ذو محاولات صحفية مع زُمرة من الأصدقاء " المجانين " الذين بسبب أسمائهم العصية على التذكر لاأستطيع تميزهم دون أحداثٍِ وصفات معينة أربطها بكل فرد منهم . ليصبح في نهاية عقده الثالث صحفياً مشهوراً مولعاً بالصحافة ومدمناً لها . أصدقاء ماركيز كانوا العون الأكبر في حياته بالإضافة لـ طفولته مع جده و مراهقته وتنقالته الكثيرة بين المدارس و المدن الكولومبية بخلاف تأثير والديه اليسير جداً الذي اعترف بين سطورها بأنه لم يقضي معهما و مع أخوته العشرة الآخرين أكثر من ثلاث سنوات في أوقات متفرقة . أحيا ماركيز خلال الصفحات شعوراً غريزياً في داخلي كنت قد أخمدته مُنذ بعض الوقت بالإلتفات لكل شيء من حولي كما لو أنه مادة جيدة للكتابة عنه ما دمتَ تمتلك القُدرة الأدبية لذلك و ألقى بين السطور عبارة أسطورية دعمت بها بعض قناعاتي و أزيد عليها في قوله : " علمتني الحياة نفسها أن أحد أكثر الأسرار فائدة في الكتابة ، هو تعلم قراءة رموز الواقع دون توجيه أسئلة " . رغبتُ لو أنني لم أحسم نجمة إلا أنني أريد أن أعترف بشعوري بالضجر في الفقرات المتفرقة التي ذكر فيها الأحداث السياسية و الثورية بين الحزب المحافظ والحزب الآخر الليبرالي في كولومبيا ولأنه بسبب الأسماء " الصعبة أيضاً " لم أستطع أن أربط الأحداث ببعضها فتتفرق لدي الطرق في السطور و أشعر بأنني بالكاد أتذكر ما قرأته لتوي بالإضافة أنني لم أوفق لمعرفة دقيقة بقصة الرئاسة المأساوية الذي جاهد ماركيز ليفهمنا إياها بين سطور كتابه ، على أية حال ، كان لهذه الأحداث تأثير في تنقلات ماركيز وحياته فكان مُجبراً على سردها . خیلی از نکات مربوط به داستانهاشو گفته بود و چیزی که خیلی خیلی چشمگیر بود صداقت بینظیر گابیتو بود. بعد از خوندن آثار مارکز و پی بردن به زحماتی که واسه خلق آثارش متحمل شده ، در این کتاب به صورت کاملا گویا و واضح نشون میده نویسنده شدن یکی از سختترین کارهای دنیاست. Acho que todos os leitores deviam ler a autobiografia dos seus autores favoritos. Abre uma perspectiva tão grande, nova e excitante sobre os limites de pensamento do autor, que tudo aquilo que lemos e parecia não fazer sentido, passa a fazer. Dito isto, Viver Para Contá-la começa com uma visita da mãe de Gabriel para irem juntos vender a sua antiga casa onde morara com a família. Embora pareça um evento trivial e sem interesse, é aqui que se despoleta um dos momentos de insight mais importantes d Acho que todos os leitores deviam ler a autobiografia dos seus autores favoritos. Abre uma perspectiva tão grande, nova e excitante sobre os limites de pensamento do autor, que tudo aquilo que lemos e parecia não fazer sentido, passa a fazer. Dito isto, Viver Para Contá-la começa com uma visita da mãe de Gabriel para irem juntos vender a sua antiga casa onde morara com a família. Embora pareça um evento trivial e sem interesse, é aqui que se despoleta um dos momentos de insight mais importantes de literatura não só colombiana, mas mundial, onde Márquez percebe como escrever a obra que precedeu Cem Anos de Solidão, La Casa, que com muita tristeza ficou mais tarde perdida numa editora colombiana que o rejeitou. Porém, isto foi a rampa de lançamento para êxitos de prateleira como O Amor nos Tempos de Cólera, O General no Seu Labirinto, a colectânea Olhos de Cão Azul, Crónica de uma Morte Anunciada e outros títulos menos conhecidos. Tal como acontece nas suas obras de ficção, a sua autobiografia é escrita no mesmo tom quase informal, ainda que com um vocabulário vasto e coeso, recorrendo a palavras certas que de outra forma seriam coloquiais e preguiçosas. Alguns dos seus testemunhos são recolhidos de amigos e conhecidos, mas a grande maioria provém da sua excelente memória de escritor que sempre teve uma grande fixação pelos contos, relatos e histórias que ouvira desde o berço. O realismo mágico das suas obras, que a muitos parece ridículo no sentido negativo, toma forma e vida diante dos nossos olhos neste livro. Entendendo o mundo do autor passamos também a entender o que desencadeou a sua forma de escrever, o vocabulário, de onde retirou a inspiração que coloca em papel. E tudo passa a fazer sentido quando lemos a sua autobiografia. Viver na Colômbia é, em si, uma experiência surreal. Não deixo de acrescentar que sou suspeita para falar do autor que considero o meu favorito e que, embora soe algo pretensioso e apaixonado, duvido que apareça alguém que o substitua. A grande maioria dos leitores dirão que têm centenas de autores e livros favoritos, mas, no meu caso, Gabriel García Márquez já é há mais de dois anos o meu eleito, e não será fácil reverter isso. I remember absolutely nothing from this book. I bought this novel-like autobiography in 2005 and hoped to finish reading it as soon as possible but, typically, his narration seemed tedious with his famous ‘mystic realism’ to me whenever I read his novels. Therefore, I quit during my rough journey in Chapter 3 (page 156). Then I resumed reading some pages in 2009 and left it at that (page 173) till early this month I decided to finish it and thought I should enjoy reading his prose and dialogs as well as something from him, one of the great I bought this novel-like autobiography in 2005 and hoped to finish reading it as soon as possible but, typically, his narration seemed tedious with his famous ‘mystic realism’ to me whenever I read his novels. Therefore, I quit during my rough journey in Chapter 3 (page 156). Then I resumed reading some pages in 2009 and left it at that (page 173) till early this month I decided to finish it and thought I should enjoy reading his prose and dialogs as well as something from him, one of the great writers for the time being, as the winner of the Nobel Prize in Literature in 1982. He went no further. He thanked me in every way possible for the bolero and said goodbye with a firm handshake. I turned around, as did several young men and others less young who were running along with me, and the insatiable reader passed me and handed me a book without stopping. “Enjoy it!” he shouted, and disappeared into the crowd. My mother was crushed by this portrait so contrary to the one they had forged in their solitary dreams. For them it was simple: since there was no possibility I would be the eminent physician my father could not be because he did not have the money, they dreamed I would at least be a professional in something else. I abandoned the article in the middle of the page because my heart was pounding, and I crossed the avenue to meet her at the Hotel Continental after twelve years without seeing her. … We both must have realized that twelve years were a long time at her age, but we bore it well. I had tried to track her down when I first came to Barranquilla, until I learned that she was living in Panama where her sailor was a pilot on the canal, yet it was not pride but timidity that kept me from bringing up the subject with her. In brief, this book is worth reading and rereading to the nth time since it would allow you to appreciate how he has penned on his life to the world to read scene by scene till we futilely hope to write just a bit like him. The more we read his works, the more they keep shedding light on his readers in terms of his life dramas (the Tale) that help us understand how he has become one of the great writers in the 20th century and beyond in Latin America and the world. تناول ماركيز في سيرته الذاتية ذكريات طفولته حتى سن العشرون. و ذكرياته مع اسرته، و ذكر أيضاً تفاصيل دقيقة عن الأوضاع السياسية في كولومبيا كصراع المحافظين مع الليبراليين. السيرة بشكل عام جيده، أعادت لي بعض من أحداث روايته مائة عام من العزلة ، سلطت الضوء على كتاب لم أقرأ لهم شيئاً، شجعني الكاتب على قرأت بعض الكتب لهم . و استمتعت ببعض الأحداث ، لكن يعيبها كثرة الشخصيات و الأماكن ومسمياتهم الصعبة . وعدم التزامه بخط زمني محدد للأحداث. أما الأحداث السياسية فكانت مملة في أغلبها ، بسبب كثرة تفاصيلها . من بعد تجربتي في قراءة رواية مائة عام من العزلة قبل سنوات بترجمة محمد الحاج خليل بدلا من ترجمة صالح علماني وأنا أتردد وأتروى كثيرا قبل قراءة أي رواية مترجمة خشية الوقوع في الرديء منها وخشية ألا تصلني روح الكاتب الحقيقية التي بثها بين سطورها... وتلك أمنيتنا القديمة المستحيلة :أن نقرأ كل رواية بلغتها الأصلية حتى نتشبع من كاتبها بلا برزخ من ترجمة تحول بيننا وبينه..
هذا ماحدث مع "نعيشها لنرويها" لغارسيا ماركيز.. اذ بقيت على الرف طويلا قبل أن أتناولها.. وقد سبق أن قرأت ترجمات أخرى لرفعت عطفة (المترجم من بعد تجربتي في قراءة رواية مائة عام من العزلة قبل سنوات بترجمة محمد الحاج خليل بدلا من ترجمة صالح علماني وأنا أتردد وأتروى كثيرا قبل قراءة أي رواية مترجمة خشية الوقوع في الرديء منها وخشية ألا تصلني روح الكاتب الحقيقية التي بثها بين سطورها... وتلك أمنيتنا القديمة المستحيلة :أن نقرأ كل رواية بلغتها الأصلية حتى نتشبع من كاتبها بلا برزخ من ترجمة تحول بيننا وبينه..
هذا ماحدث مع "نعيشها لنرويها" لغارسيا ماركيز.. اذ بقيت على الرف طويلا قبل أن أتناولها.. وقد سبق أن قرأت ترجمات أخرى لرفعت عطفة (المترجم هنا) وأهمها المخطوط القرمزي لأنتونيو غالا.. ولا أدري ان كانت هنالك ترجمات أخرى لرواية "نعيشها لنرويها" أو قصة حياة غابريل غارسيا ماركيز لأتمكن من المقارنة.. لكن لا بأس بهذه الترجمة التوصيلية على أي حال. بعد أكثر من مائة صفحة سيرا في هذا الكتاب بدا لي بوضوح أنها كالحديقة الخلفية لروايات ماركيز الأخرى خصوصا مائة عام من العزلة.. استخدمها كذاكرة سحيقة أو كمستودع ومادة خام ينتقي منه ما يشاء لرواياته تلك ويتبين لنا بشدة اصول مائة عام من هذه الذاكرة واحداثها وشخوصها ورموزها المختلفة. والأمر ليس سرا اذ يشرح ماركيز ذلك بصراحة وكيف استخدم بعض الأماكن والشخصيات لانشاء عدة روايات في مسيرته الكتابية والأمر هنا يعيد أذهاننا الى "سيرة غير ذاتية" لعبد الوهاب المسيري رحمه الله وبحثه في جذور حياته وكيف تكونت وتشكلت أفكاره من بيئته ومجتمعه المحلي وتطور تلك الافكار.. وماركيز لا يختلف هنا بعمله هذا عن المسيري وان كان قد اخرجه في شكل رواية سحرية كهذه. الذاكرة تستدعي كتابا آخرا كذلك وهو "أنا" لعباس محمود العقاد عندما نقرأ عن طرائق وأجواء الكتابة لدى ماركيز وأخيلته ومخرجاته الثقافية والأدبية وجوه الاجتماعي آنذاك وهو ماتحدث عنه العقاد كثيرا في الكتاب آنف الذكر. ماركيز يحكي ويحكي ويحكي الشيء الكثير من التفاصيل والأحداث والتي تبدو بمفردها غير مهمة البتة في تلك البقعة النائية من الأرض لكنها وبمجموعها تشكل الوعي الخصب والذاكرة الحية لأحد أعظم روائيي القرن العشرين. 2- أن الصحافة كانت هي الطريق والوسيلة الأنجح آنذاك في صقل مهارة الكاتب واختلاطه بالأستاذة والمثقفين وبالتالي صقل مهاراته الروائية والكتابية وبالطبع ومع تغير الزمن تتبدل هذه الوسائل او يميل الثقل لصالح أخريات. 3- أن الناس والجمهور والدهماء هم الطريق إلى تكوين ذاكرة الكاتب ومخيلته وقاعدة قرطاسه الأساسية حيث النزول الى الشارع وتشرب معاناتهم وقصصهم.. لم يبق ماركيز في غرفته ولم ينعزل عن مجتمعه رغم كل الصفات الشخصية التي اتسم بها منذ طفولته من خجل وخوف وانطواء. ماركيز توقف في سيرته هنا عند نهاية الخمسينات وسفره خارج كولومبيا لأول مرة لتغطية صحفية وبذا ختم الكتاب ولم نعرف بعد سيرة الجزء الآخر من حياته المليء جدا. Gabriel Garcia Marquez é para mim um escritor esquisito, não só ao nível da composição dos seus textos, como sobretudo devido à estranheza das suas histórias. Prémio Nobel em 1982, Garcia Marquez assentou toda a sua carreira, enquanto escritor, num género que podemos classificar, ou pelo menos eu classifico-o, do realismo-fantástico, género esse povoado de fantasmas, demónios e situações surrealistas que vão sendo misturadas com o mundo real, dando então origem a um universo onírico, algo confuso Gabriel Garcia Marquez é para mim um escritor esquisito, não só ao nível da composição dos seus textos, como sobretudo devido à estranheza das suas histórias. Prémio Nobel em 1982, Garcia Marquez assentou toda a sua carreira, enquanto escritor, num género que podemos classificar, ou pelo menos eu classifico-o, do realismo-fantástico, género esse povoado de fantasmas, demónios e situações surrealistas que vão sendo misturadas com o mundo real, dando então origem a um universo onírico, algo confuso, que deve ser lido, pensado e analisado com muito cuidado. Pessoalmente não sou apreciador desse estilo, nem do simples e puro género do fantástico. Amante do Histórico e do realismo puro (Eça de Queirós, Maugham, Dostoiévski, Tolstoi, Vítor Hugo, Zola, Dickens, Jorge Amado e tantos outros), gosto essencialmente de ler sobre temas sociais e humanos e, após a leitura ou durante a mesma, efectuar vastas análises ao que leio e enquadrar aquela realidade na nossa actual sociedade. No entanto e em relação a Marquez, algo me incomoda. Incomoda-me não entender a sua escrita e incomoda-me haver toda uma legião de fãs em todo o mundo que fazem dele o escritor mais consagrado do nosso tempo, sem que eu entenda esse sucesso. E vai daí, há algum tempo propus-me a entender a sua obra e o contexto da suas histórias. Lendo por duas (2) vezes “Cem anos de solidão”, lendo também “Relato de um náufrago” e tentando ler o “Outono do Patriarca”, em todas estas situações fiquei sempre desiludido e como uma clara sensação de tempo perdido. Até que, numa ida à biblioteca, me deparo com este “Viver para contá-la” livro que, alegadamente e segundo o que já havia lido, tratar-se-ia de uma autobiografia. Nada melhor então para ficar a conhecer em definitivo a s suas raízes, filosofias, paixões, gostos e inspirações que lhe moldaram o carácter e directamente o seu estilo de escrita. ”Viver para contá-la” trata-se então de uma autobiografia de Marquez que, sem preconceitos e tabús, narra de uma forma quente, apaixonada e ao mesmo tempo crua, toda a sua vida. Antes de aprofundar a análise ao livro, há que referir que este trata-se do primeiro volume da sua biografia. O livro inicia-se já enquanto Marquez estudante de direito em Barranquilla, recebendo a visita da mãe que lhe solicita que a acompanhe no sentido de venderem a casa dos avós em Aracataca, local onde ele nasceu e onde foi criado. É esse encontro o mote para este livro fabuloso, pois não se trata de umas simples memórias de Garcia Marquez. Desde logo e com as descrições de Aracataca, ficamos com a ideia de onde Marquez foi beber a inspiração para criar “Cem anos de Solidão” e mais fascinados ficamos quando nos apercebemos que a história do livro é, simplesmente, a História da sua própria família. E continua. Marquez vai desfilando as suas memórias. Memórias povoadas de histórias fantásticas mas reais, o surrealismo é algo que está entranhado nos povos caribenhos e da América do Sul, continente onde há muito circulam histórias e mistérios fantásticos. Quem nunca ouviu falar de Tiahuanaco, Cuzco, Nazca, Macchu Picchu, a perdida cidade do ouro dos Incas, os fantasmas da Jamaica, a misteriosa Ilha da Páscoa e tantos mais? A sua infância e o modo como era visto e tido pelas pessoas que o rodeavam. As histórias que ia ouvindo pela bocas dos mais velhos, as suas observações e considerações pelo meio que o rodeava. O seu extemporâneo amor à leitura que o leva a ler, muito novo, obras como “As mil e uma noites”, a “Odisseia” de Homero, ”Orlando Furioso”, ”D. Quixote” e o ”Conde de Monte Cristo”, obras que lhe abriram as portas desses vasto e fascinante mundo da literatura e que o acompanharam desde sempre. Mas Marquez vais mais longe. Para além de narrar o passado dos seus pais e avós, ele situa, a nível geopolítico e social, a Colômbia no mundo, sobretudo ao nível das turbulências que desde sempre abalaram aquele país do Caribe. Amigo pessoal de figuras públicas, sobretudo figuras colombianas, destacando-se contudo a enorme amizade com Fidel Castro. Mas é curioso as personagens estranhas que marcam a sua vida e que lhe inspiraram a construção de personagens para os seus romances. Desde o coronel que fazia peixinhos de ouro numa velha oficina depois de uma vida de combatente (lembram-se do coronel Aureliano Buendía em “Cem anos de solidão”? Pois foi baseado no próprio avô de Marquez que fazia peixinhos de ouro depois de uma vida de combatente), até à sua tia que comia terra, passando pela tia que um dia lhes surgiu em casa e disse “venho me despedir, pois vou morrer!”, e à sua própria mãe, que com o seu forte carácter, o inspirou a criar a matriarca Úrsula, talvez a figura mais forte de “Cem anos de solidão”. Em todas estas 579 páginas, Marquez narra tudo isso e muito mais. O seu percurso enquanto ser humano, o seu percurso estudantil e profissional. As obras e escritores que o inspiraram, a forma como estudou a aprendeu a técnica do romance, os mestres que lhe deram força para continuar quando as decepções o invadiam, os seus primeiros contos, enfim, todo um percurso rico em pormenores que finda em 1957 (fim deste volume). Fico imensamente curioso em relação ao segundo volume, pois será nesse que Marquez narrará como construiu os seus romances, as suas estadias em Paris e no México (local onde escreveu “Cem anos de solidão”, a atribuição do Prémio Nobel e as suas amizades com escritores consagrados, entre os quais o “nosso” José Saramago. Neste primeiro volume fica assim claro que as obras de Marquez espelham uma realidade que efectivamente é a do seu povo, uma realidade fantástica e sensual, inserida numa cultura secular com tantas tradições. Quanto a mim, fiquei maravilhado com este livro e com o génio deste homem que, com os seus textos, procurou sempre honrar e homenagear um país e um povo que é o seu. Este libro son dos. El primero es un reportaje a los pueblos colombianos grandes (como Bogota) y chicos (como Cataca) a traves de los recuerdos de infancia y juventud de GGM. Precisamente uso la palabra reportaje porque es en lo que Garcia Marquez mas brilla: cuenta las aventuras y tropiezos de su familia con una humanidad que solo el puede transmitir. Y no solo la humanidad de los personajes! A traves de la primera parte del libro uno se encuentra con la humanidad intrinseca de un barco de vapo Este libro son dos. El primero es un reportaje a los pueblos colombianos grandes (como Bogota) y chicos (como Cataca) a traves de los recuerdos de infancia y juventud de GGM. Precisamente uso la palabra reportaje porque es en lo que Garcia Marquez mas brilla: cuenta las aventuras y tropiezos de su familia con una humanidad que solo el puede transmitir. Y no solo la humanidad de los personajes! A traves de la primera parte del libro uno se encuentra con la humanidad intrinseca de un barco de vapor, de un pueblo en decadencia, de un chinchorro, de un puteadero. Sobra decir que disfrute mucho esa primera parte. El segundo libro esta intercalado con el primero sin que se noten mucho las costuras, y en el se detalla la vida social y literaria de GGM, enmarcadas por la impersonalidad y dureza de Bogota, Barranquilla y Cartagena, mientras (dandose palo todo el camino) cuenta como fue construyendo su legado poco a poco, a partir de editoriales, reportajes y cuentos muy a pesar de El Bogotazo y La Violencia. El libro termina cuando el revolu ocasionado por uno de sus reportajes (Relato de un naufrago) causa su repentina partida hacia Europa. Mientras el primer libro toco una fibra muy personal (una que debe quedar muy al lado de la patria y la infancia), el segundo me satisfizo literariamente justo donde otro muy mentado libro fracaso estrepitosamente. Me refiero a Los Detectives Salvajes. Mientras luchaba contra Los detectives salvajes, me daba cuenta de una manera muy impersonal que habia nostalgias, admiraciones, ennui que suponia que tenian que ser despertadas (muy aparte de la calidad tecnica de Bolano) y que espere hasta la ultima pagina que llegaran. Llegaron unos meses despues, con Vivir para contarla, con la ventaja innegable de conocer la geografia del libro y las Dramatis Personae. Tal vez por eso entiendo que a mucha gente este libro ni le va ni le viene. Y de pronto tengo que vivir en el DF un par de anos para ver donde carajos queda la calle Colima en la colonia Condesa. This book was written by my favorite author about being a great author. Perhaps, it is small-minded and greedy of me but, an overwhelming part of me just wants all that easy poetry without experiencing the mountain of work that it requires. It's similar to the reasons I go out to eat without needing to see the kitchen. Though at times, regret failing to do so. In the end, I'm glad to have read what makes this extraordinary man tick and found myself stalling so I could continue to read the memoir. This book was written by my favorite author about being a great author. Perhaps, it is small-minded and greedy of me but, an overwhelming part of me just wants all that easy poetry without experiencing the mountain of work that it requires. It's similar to the reasons I go out to eat without needing to see the kitchen. Though at times, regret failing to do so. Non mi ha entusiasmato quanto mi aspettassi, tuttavia è indiscutibile la capacità narrativa dell'autore e il suo senso dell'umorismo adorabile, nonché la magia che riesce sempre a creare, quell'illusione di catapultarti in un mondo per sempre perduto, un'oasi nella Colombia fantastica dove anche i gringos vengono cullati dai ricordi di quella terra. La parte che più ho apprezzato è la descrizione dei personaggi della sua famiglia, ho ricordato con piacere l'emozione provata nel leggere Cent'anni Non mi ha entusiasmato quanto mi aspettassi, tuttavia è indiscutibile la capacità narrativa dell'autore e il suo senso dell'umorismo adorabile, nonché la magia che riesce sempre a creare, quell'illusione di catapultarti in un mondo per sempre perduto, un'oasi nella Colombia fantastica dove anche i gringos vengono cullati dai ricordi di quella terra. La parte che più ho apprezzato è la descrizione dei personaggi della sua famiglia, ho ricordato con piacere l'emozione provata nel leggere Cent'anni di solitudine e alcuni tratti de L'amore ai tempi del colera.